On March 13 Preservation Leadership Forum hosted the most recent Forum Webinar, which focused on easement monitoring as a critical component of a preservation organization’s easement program. Regular monitoring not only ensures compliance with the property’s easement but it can also be a valuable tool to improve relationships between the property owner and the easement-holding organization. Speakers Raina Regan, senior manager of easements at the National Trust for Historic Preservation, and David Amott, preservation programs director at Preservation Utah, provided the nuts and bolts of easement monitoring, before, during, and after a monitoring visit. A recording of the webinar and a PDF of the slide deck are available in our Webinar Library. Presenters could not get to all the questions during the webinar, so we are featuring their answers to the remainder (lightly edited for clarity) here. Easement violations might attract state and local code officials. When do you bring in those allies? Raina Regan: Yes, in some cases easement violations may also be code violations at the local or state level. It may be useful to contact state or local officials to discuss issues in certain situations—for example, if you have an older easement without an affirmative maintenance clause, you may collaborate with local code officials to put pressure on an easement property with deferred maintenance. But in other cases, it may be important to keep the enforcement role of the easement-holding organization separate and distinct. David Amott: It depends on what local and state officials you are considering bringing in. At Preservation Utah, we have found that involving certain officials—ones who do not understand our easements, do not understand or sympathize with basic preservation aims—can hinder our enforcement efforts. That said, we have worked successfully with city planners and city zoning code enforcement officers. Planners in certain Utah cities keep us informed of what is happening at our easement properties. For example, all the easement properties in Salt Lake City are registered with the city’s planning office, and when an owner applies for a permit to change some part of that property, we are notified. I have also worked successfully with local planning offices around the state to remedy issues related to improperly constructed or unapproved home additions, building safety, and landscapes. I have found that planners are generally happy to send out a zoning code enforcer when necessary, and most of the time, we see real results when we partner with these enforcers. Many of our covenant and easement properties have been in poor condition from the outset. Some are grant funded, and our funds are often a first step in a larger project that may or may not prove successful, whereas others are former federal properties that were underused. Any thoughts about tailoring monitoring to these situations? Regan: During your monitoring process, consider tracking which issues are getting worse from year to year. From there, you can determine which maintenance or stabilization items are the highest priority and set individual timelines for accomplishing them—like six months or a year. Setting realistic benchmarks is important and may help the owners better focus on what needs to be immediately addressed. Understanding the local building seasons is also important—properties in northern states have a much shorter construction season, and that should be factored into your timeline. Amott: Our organization would not accept a long-term/perpetual easement on a dilapidated property unless a guaranteed, fail-proof path for the property’s restoration/rehabilitation was already in place. Do you deal differently with buildings that you feel have less historic and architectural significance? Regan: Our preservation easements protect properties significant at the local, state, and national levels, and we generally do not treat those properties differently. We do draft each easement to identify and protect the specific historic and architectural significance of each property. 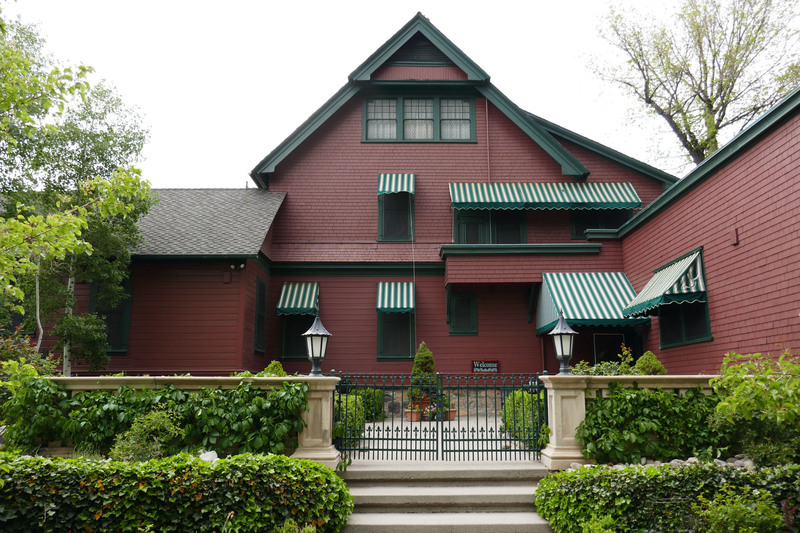 For example, an easement for a National Historic Landmark with a high degree of integrity on the interior is likely to include exhaustive interior protections. On the other hand, you may opt for more flexibility in how you treat noncontributing structures—such as garages, sheds, or other outbuildings—on a protected property. However, these decisions are made during the easement drafting process. Once the easements are in place, we monitor and enforce them consistently, following our organization’s policies and procedures. Amott: Our easements are fairly uniform and demand that we give the same level of protection to all of our properties. I think we could face legal issues if our practices prioritized certain easement properties over others. All our properties are subject to the same monitoring and general follow-up. That said, we have considered historic and architectural importance when setting in-house restoration goals for our easement properties in fair to poor condition. Preservation Utah has too many such properties and too few resources to address them at once, so historic and architectural importance, as well as location, have been factors in deciding what to pursue first. Though we very much intend to get to every one of them in time! How do you recruit new easement donations? Amott: At this time, Preservation Utah does not recruit new easement donations—we let easement properties find us. While there are some obvious benefits to growing our easement program, the drawbacks of most potential easement properties generally outweigh them. How do you advertise, underwrite, and fund the low-interest loan program? Amott: Our low-interest loan program is now more than 40 years old. The three funds involved in this program have grown slowly over decades through accrued interest, mitigation payments, Salt Lake City Redevelopment Agency project area allocations, “in memoriam” donations, and a variety of fundraising efforts. Why would someone put their home in an easement program? Regan: There are many potential reasons. Some people donate an easement to ensure that a longtime family property is protected in perpetuity, perhaps before selling it to new owners. Others are motivated by the financial benefits available for certain types of easement donations. Amott: Generally, property owners who pursue easements love their homes and want to know that their property will be saved from demolition, neglect, or other such threats. Keep in mind that organizations that accept and maintain easements might not share the owner’s enthusiasm for their property. Organizations that accept easements will usually only do so if the property boasts a high level of historic, architectural, or other intrinsic value. Is a private residence in an easement program protected forever? Regan: In many cases, yes. Most easements are perpetual—that is to say, they are permanent and bind both current and future owners to protect the historic property. On occasion, an easement may last for a set period like five or 10 years; these are referred to as “term” easements and often originate as part of grant funding for historic properties. How does donating an easement provide a financial incentive to the owner? Regan: Forum’s brief introduction to easements includes an answer to this question. How do you store and organize your monitoring photos? Do you attach them to your reports or reference photos within a report? Does the National Trust's database provide functionality for storing and juxtaposing these images? What suggestions do you have for programs looking for best practices? Regan: We store our monitoring photos on a server at the National Trust, and I know that some programs have explored cloud storage. We do attach a selection of photos to monitoring reports—a few overall photos plus any details that call attention to items discussed in the report. Our database does not have the functionality to do this, so we use Adobe Bridge. We also use Adobe Bridge to manage our photos, since it can rename files in bulk to ensure a consistent naming convention—e.g., “2019 [Property Name] Inspect 001.” It is key to ensure that file/folder naming is consistent throughout the post-monitoring process. Amott: In the past, we printed and maintained extensive easement photo files. We are slowly digitizing these photos and building an electronic file for each easement property on an external shared drive. These files are organized by the year the photo was taken and by the side or angle of the house they depict—e.g., “2018 N” means the photo was taken in 2018 and shows the north side of the easement property. New photos of our easement properties are, of course, added to these files using the same naming conventions. Are easements recorded with the county so that they show up in title reports? Regan: A preservation easement should be recorded in the land records for that property’s jurisdiction—city, county, township, etc.—and should appear on a title report. Amott: Despite the fact that preservation easements do feature on property title reports, only about half of our new easement owners seem to understand that they (1) purchased an easement property and (2) will need to consult with Preservation Utah before making significant changes to the exterior of their home or building.